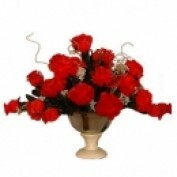 RoseforLove.com is the direct supplier of feather roses, as well as all other rose related information, gift items, and artworks. Wecome to visit us for more information on roses, love, wedding, marriage, relationship and much more! 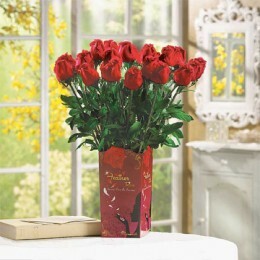 Dark red roses represent unconscious beauty. They are a bold expression of love, and yet they are captivating and enigmatic. Dark red roses have the aura of mystery though they leave virtually nothing unsaid.